To run a beetle you will need some dice and pencils. Our dice are soft foam 15mm dice, perfect for this type of event as the are quiet, durable, washable and less likely to roll off the table like standard hard dice. Simply select the quantity of dice and pencils you require for your beetle drive then select to pay via paypal. 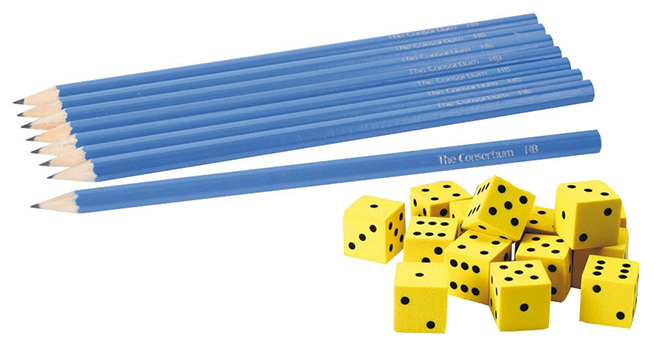 Once we have received your order we will send the dice and pencils out to you within 2 working days.